Welcome to Day #1 of Chocolate and Cherries Theme Week. 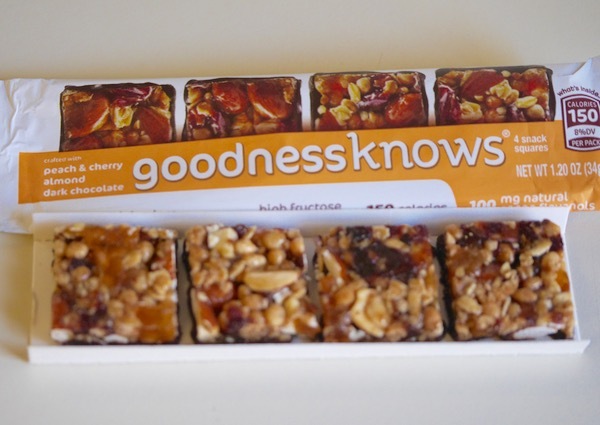 Today's Goodness Knows Peach and Cherry Almond Dark Chocolate snack squares were distributed by Mars Chocolate North America, LLC (Hackettstown, NJ). 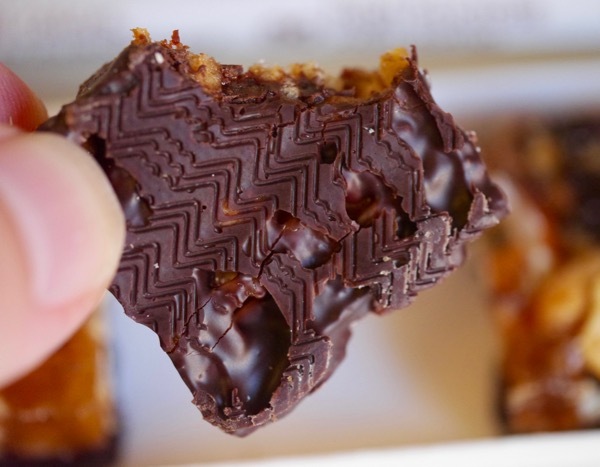 Recently I sampled two other Goodness Knows snack square (chocolate) flavors. * Today's was my favorite of the three. While all three had a sweet, malty flavor and crunchy, slightly chewy, nutty texture, the bright bits of peach and cherry offered the best fruit experience of the three. The fruit was mixed with chunks of almonds, peanuts and oats; and that mix sat on a base of dark chocolate. 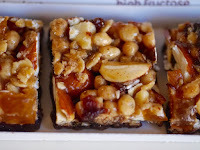 *Other Goodness Knows snack square flavors sampled were: Cranberry Almond Dark Chocolate, and Apple Almond and Peanut Dark Chocolate.